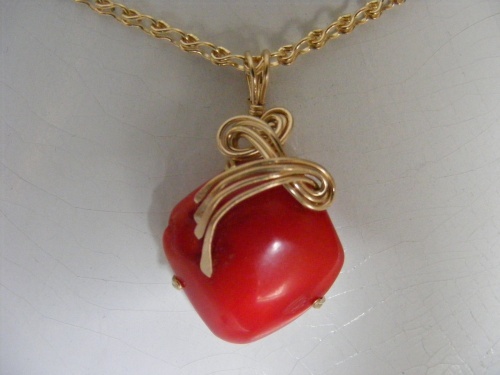 This pretty piece of Red Coral is enhanced with 14k gold filled swirls and curls which makes the red pop. So unique with its elegance of style. Measures 1 1/4" long and comes with a gold filled chain.